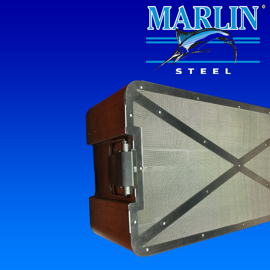 Marlin Steel serves the medical industry with precision-engineered stainless trays and other custom metal forms for sanitary applications. 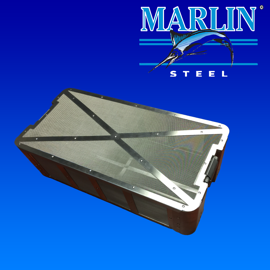 All of Marlin’s medical trays are made from grade 304 or 316 stainless steel to resist corrosion and contamination from everyday use in pharmaceutical or surgical applications. 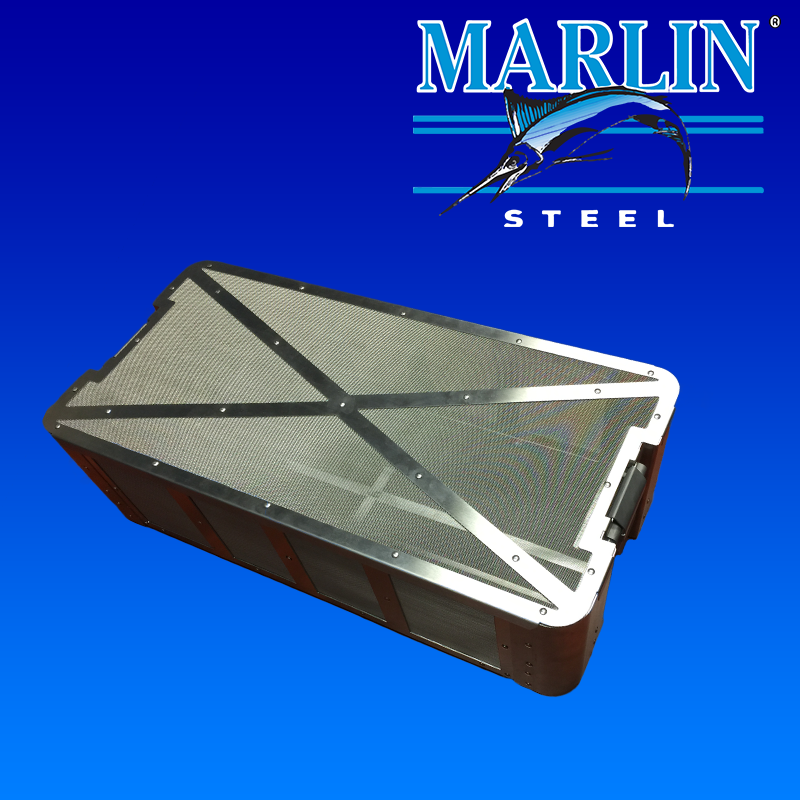 Whether you need a medication tray/cart for inpatient care or a surgical instrument tray for the operating room, Marlin can meet your needs. Submit your custom tray requirements and a Marlin Steel employee will get back to you with a quote / more information. Stainless steel can resist contact with corrosives such as body fluids. Grade 316 stainless steel is especially resistant to chlorides that would damage regular steel. 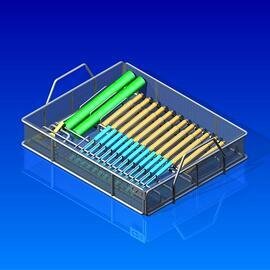 In addition to being corrosion-resistant, steel trays are also very strong compared to their aluminum counterparts. This makes stainless steel surgical trays more resistant to damage from an accidental drop. 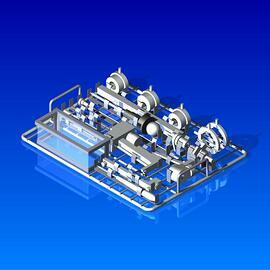 In short, stainless steel makes for a tougher, longer-lasting medical instrument tray. 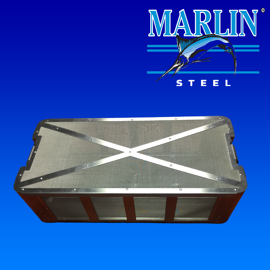 Aside from our selection of stock trays for different medical and surgical applications, Marlin Steel can also create custom-formed stainless steel trays to meet your exacting specifications. 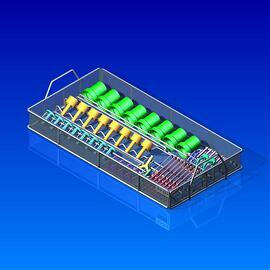 Using this information, Marlin’s engineering team will create a design to best meet your needs. 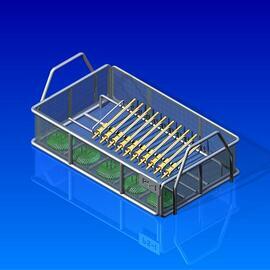 From there, the design is tested against your use conditions with Autodesk virtual physics simulation software. If any weaknesses are found, they’re corrected before the tray is put into production. 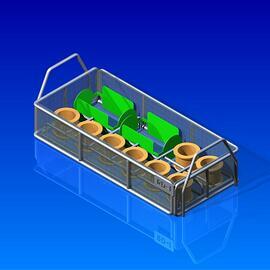 Need a precision-engineered custom medical tray? 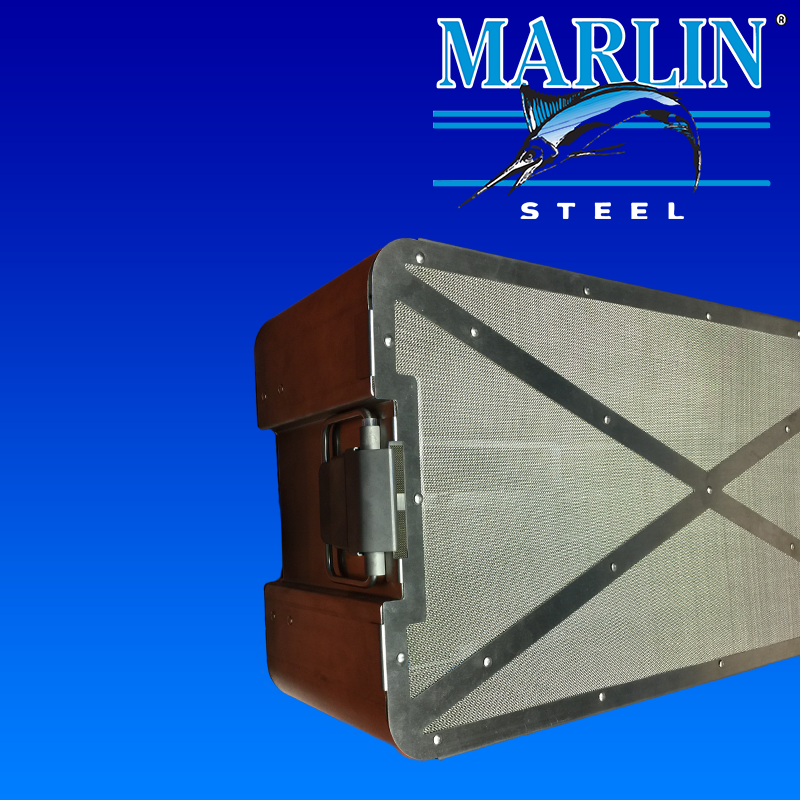 Contact Marlin Steel right away! Most custom tray orders can be completed within 1-2 weeks of the initial order date—stock tray orders typically ship the same day.